Welcome to your February SHIFT-IT e-Zine. First off, our new SHIFT-IT Tele-group was kicked off this last month. Sixteen folks from all over the place: Netherlands, New Zealand and many different North American locales phoning in for our special calls on Sunday mornings. I love leading folks thru my SHIFT-IT Process® - working with them live in the calls and also fielding private emails in between. Seeing and hearing how they are responding to the material and the unique and cool insights they get. The progress of participants each week is amazing and I am constantly thrilled with the ah-has and shifts that go on. We are just entering the ‘Focus on Your Future’ stage of the process – where everyone creates their own Personal Vision and starts to deal with their ‘Trouble at the Border’ issues (the resistance that needs to be softened in order for them to align effectively with what they want). Talking about borders … I crossed one into Mexico when I took my third Abraham-Hicks cruise. Maybe its not appropriate for me to show you a picture of me drinking beer on a Mexican beach – but hey, it happened! And oysters too (but I’m wondering if I should have risked that … Montezuma is enacting his revenge … a week later). I should have known better. Yikes! Despite the gastro-intestinal episodes when getting home (I know, too much sharing! ), I had a lot of fun on the cruise. And the knowledge pouring out of Esther Hicks via Abraham was astounding and inspirational as per usual. More photos and insights about the cruise on the blog. This month of February I’m busy working out the final touches on my new Merkley’s Mastermind curriculum (my new advance level tele-coaching group). I’m putting together a great 12-week agenda, where I go into much more depth with the Law of Attraction principles that have been so instrumental in my own personal and professional shift … and also the real world technology tools that have aided me so well. Its going to be a great mastermind team for folks out there who want to kick up their own creative livelihoods via both inner world and outer world tools. Since I just got back from the Abraham cruise, this month’s article is on some of the main pointers I received from them. Feb. 17: (2-5pm). NEXT LOA GATHERING: This month’s fr*ee Law of Attraction Gathering in my Victoria, BC studio. Discuss LOA with other curious people. Suitable for both beginners and advanced learners. This month: Louise Hay’s new DVD. RSVP Now. April 6 – June 22: (Sundays, 10-11:30am PST) MERKLEY’S MASTERMIND: You’ve asked for it, now here it is: a 2nd level virtual coaching group for past SHIFT-IT and Meeting Graphics/Graphic Bootcamp attendees. Deep, ongoing support to create an enjoyable and stable entrepreneurial/creative lifestyle. Continue to apply proper Law of Attraction techniques. Plus the nitty gritty about how to boost a business via physical world technology (websites, blog, ezines, search engines, copywriting, speaking, etc). Coming Soon. 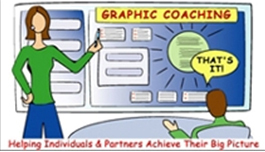 May 21-22: MEETING GRAPHICS 101 WORKSHOP (level 1): Introductory graphic recording and graphic facilitation skills for facilitators, consultants, trainers, coaches, managers and other process leaders and assistants. Foundational basics for the beginner. No art skills necessary. More Info Just 5 spots left. 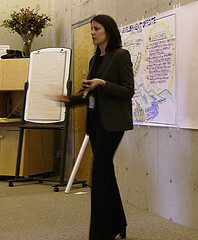 May 23-24: THE GRAPHIC BOOTCAMP (level 2): More advanced instruction and experiential practice. Offered right after MG 101 for those traveling from afar. Tons of at-the-wall drills. Demos. Template construction. Recording and facilitation practice. Advance icon library. Plus business and sales instruction- how to effectively market the benefits of working visually to create an internal or external practice. More Info Just 5 spots left. June 19-21: SHIFT-IT INTENSIVE First announcement. Its coming up – my annual in-person SHIFT-IT Intensive in beautiful Victoria, B.C. This is the only face-to-face group coaching I offer each year. Gather with other kind, creative and like-minded people who are all SHIFTing their professional and/or personal lives for the better. I’ll guide you step-by-step through my SHIFT-IT Graphic Coaching Process ® - using both small and wall-size visual methods, so you literally see your life’s journey to date and Become Your Next Self. More Info. 12 spots only. NEW TRAINING PAGES ARE LIVE! Well, everything you ever wanted to know about my graphic skills trainings is now available via our new workshop pages, plus online sign-up. Check out Meeting Graphics 101 and The Graphics Bootcamp – chock full of all sorts of info on the unique skills of graphic recording and graphic facilitation … that you can add to your own consulting, facilitation, training, project management and leadership practice to boost the results and effectiveness of your own gatherings. While most of these groups would never consider such a thing (I can just see trying to bring Law of Attraction principles up with certain CEOs I know … talk about pushing upstream!) --- I have now come to see that the secret ingredient in successful change campaigns is an alignment with Law of Attraction. The same LOA principles apply for individuals. As a coach, I must get my clients feeling better and ideally focused on an inspirational future. It has to be something they can truly feel and sense. A shift in their energy must occur. When they hit that different frequency, they are then opened up to a whole different level of experiences, synchronicities and opportunities. Their circumstances change, just like the tide turns when good LOA work occurs in the organizations (although of course it is never called LOA work in those settings… change management, OD, re-alignment, and business transformation are more the proper business buzz words … but its really LOA work underneath - wink). For me, their work has given me such inspiration --- for myself and for the creative and original people that I coach. As cultural creatives, we often have to go through a stage of breaking through mass consciousness to truly believe we can express our innate creative gifts and still survive socially and economically.